Today: The most chill summer dessert can be simple or over-the-top—you choose. The nice thing about an icebox cake is how little effort it requires. It's perfect for hot, humid days when you just want to flop into the pool and drink lemonade. Icebox cake demands no skill. You simply need two hands and the fine motor skills of a three-year-old. That's right, a toddler could make this. What are you waiting for?! 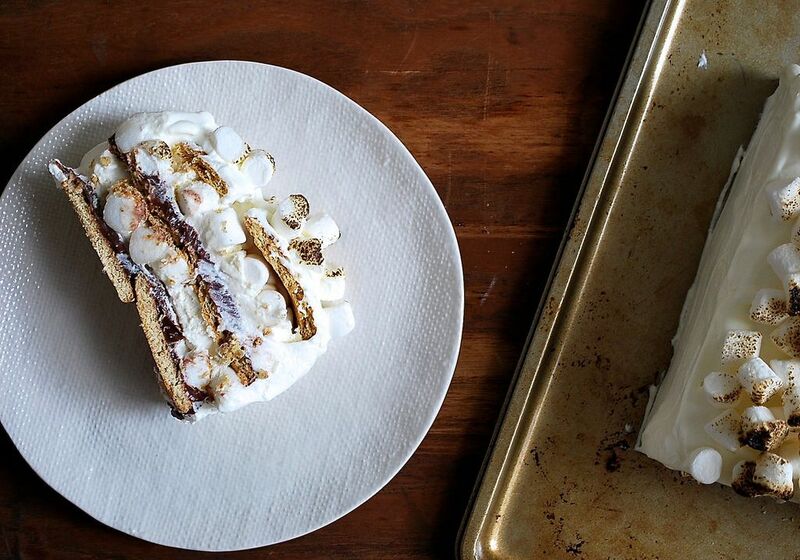 More: Fold dulce de leche into whipped cream and paint it over layers of chocolate cookies for this fancy icebox cake. 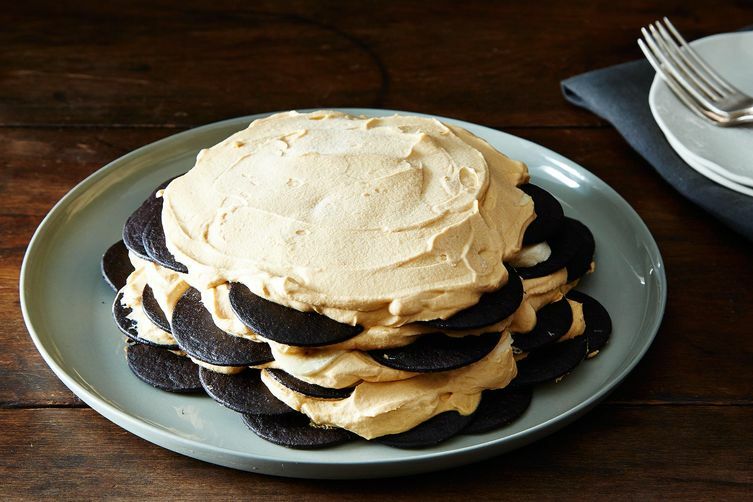 Simple Version: To make the classic icebox cake from the back of the Nabisco box, arrange chocolate wafers in a circle and layer them with whipped cream. Let it refrigerate overnight. While the cake sits, the whipped cream softens the cookies, creating a cake-like texture that yields easily to a knife. 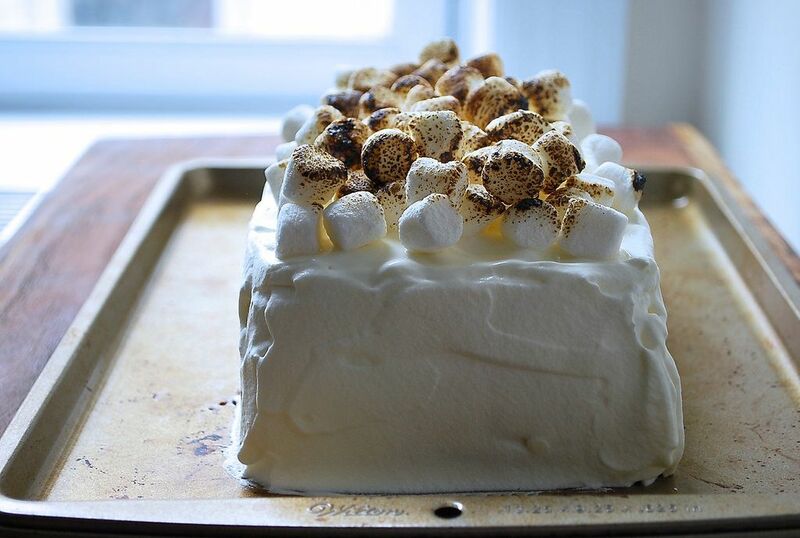 S'mores Version: After falling deeply into an internet black hole of icebox cakes, I was inspired by an outrageous s'mores cake on Completely Delicious. I adapted the recipe to my liking: less sugar, some mascarpone for tartness, and my favorite cocoa pudding recipe for the chocolate layer. 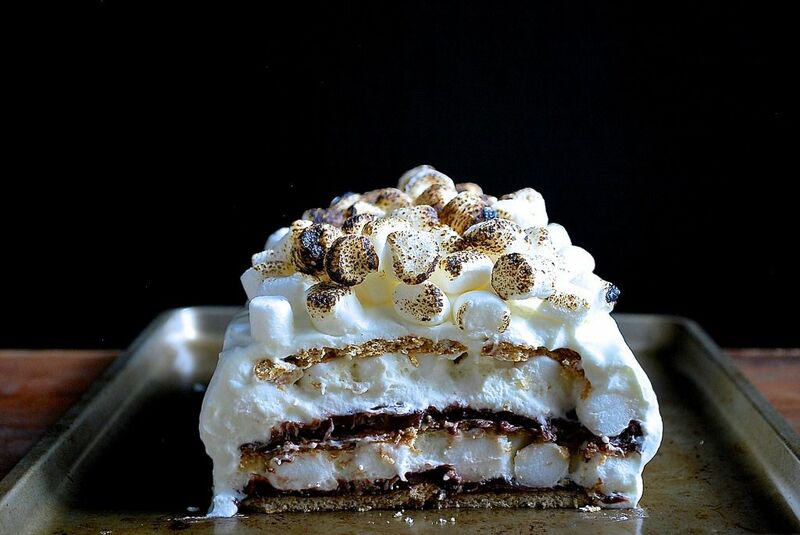 The layers here are graham crackers, miniature marshmallows, whipped cream, and chocolate pudding. Torching the top layer of marshmallows produces a warm, burnt sugar flavor just like a real s'more. It's campfire in a cake. A word on the pudding: Make it from scratch. This is labor intensive and I know I promised the recipe would be easy, breezy, and fast. But homemade chocolate pudding has a rich intensity that store-bought pudding can’t touch. If you can’t be bothered, make a quick chocolate ganache and use that in place of the pudding. More: Want a serious project? Make your own marshmallows and graham crackers, too. If you decide to cover the cake with whipped cream after unmolding (and really, why wouldn’t you? ), I recommend stabilizing your whipped cream so it is thicker and less likely to weep. I chose to fold a few tablespoons of mascarpone into the cream as I whipped it, but Kristen’s Genius Yogurt Whipped Cream is also an excellent option. Now get layering! 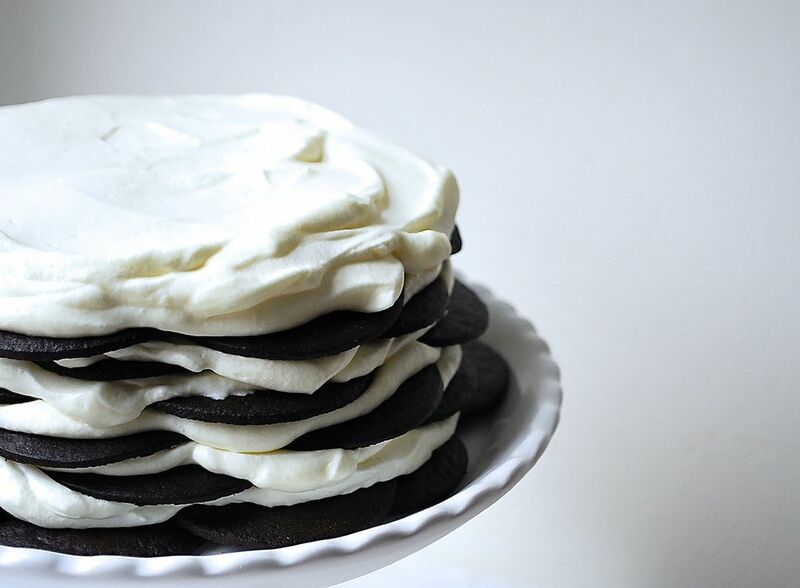 Let's all make this the summer of the icebox cake. None of the grocery stores around me have the chocolate wafer cookies, is there an acceptable alternative? Keep in mind they may not be in with the cookies but rather with the ice cream toppings, like the jarred caramel and fudge. Weird, but that's where our stores keep them.